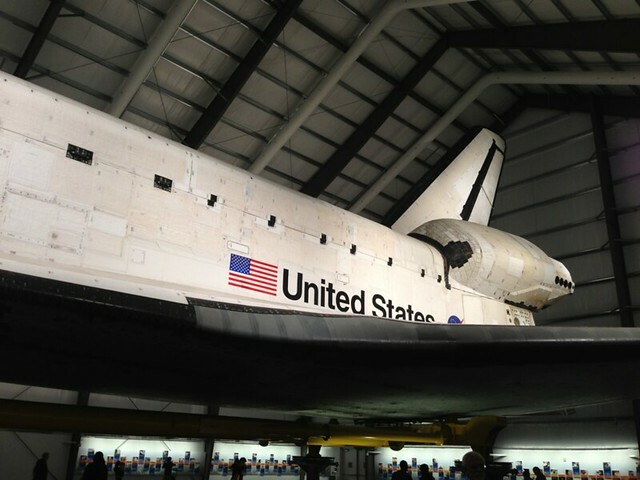 Here’s the grand finale of S’s enviable trip to California, where he shares more of his attempt to eat his way through LA and nerds out over SPACE! My friend and I returned to her home after our warm-hearted Cafe Gratitude dinner and rich, sugary BabyCakes dessert. We’d bought tickets to a 10:30 showing of The Gatekeepers, a critically acclaimed documentary about the Israeli secret security service. Alas, I was not to remain awake that long, and I bailed for an early jet-lag induced rest. The next morning we awoke and headed off to Real Food Daily for brunch. My friend’s late Christmas present for me was a copy of the Real Food Daily cookbook, so I was excited to try their selection. 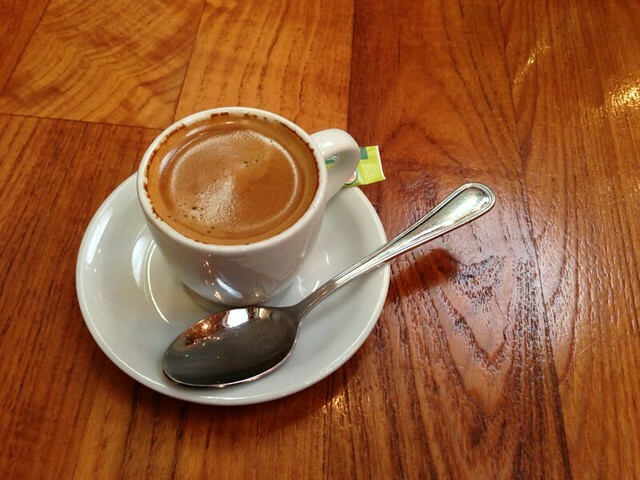 I started off with one of my favorite morning beverages, a hot cup of espresso. I sipped my beverage while we mulled over the menu. The waitress recommended The Weekender, a make-your-own brunch meal that looked like way too much food–perfect to fill in for my breakfast and lunch. I got the scrambled tofu, which came with onions, tomatoes, and cashew cheese, a side of tempeh bacon, plus hash browns. If that sounds like a lot, it was! 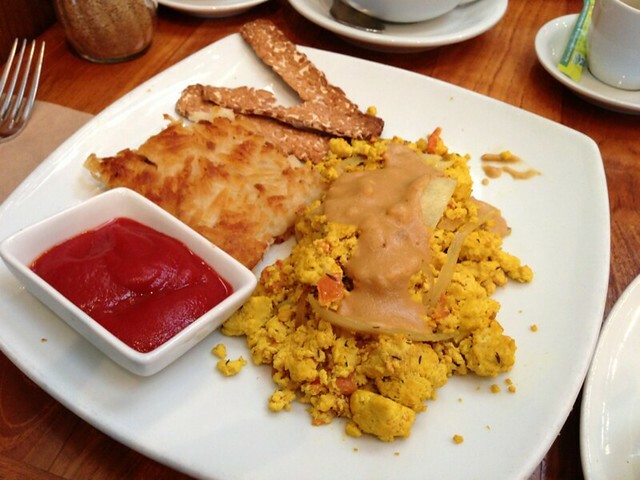 The tofu scramble was pretty standard. The cashew cheese on top was unnecessary but delicious, although the promised jalapeno did not deliver much spice. The hash browns were a bit greasy and uncannily square. This was, however, my first experience with tempeh bacon, and it was awesome. How do they get the bacon taste so right? I wanted several more pieces, but I probably couldn’t have eaten them anyway. 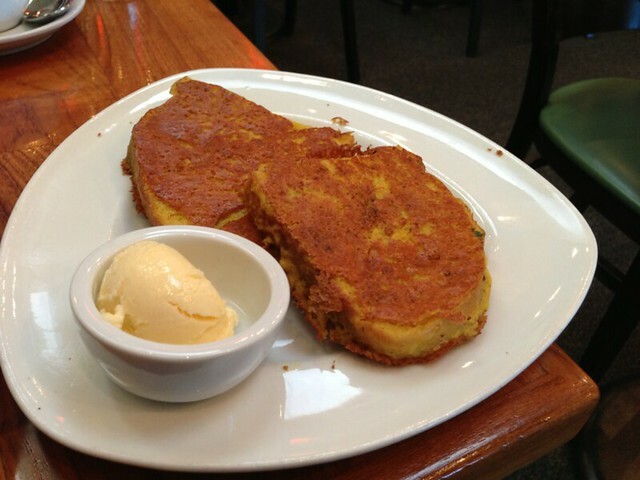 That’s because I forgot to mention that this meal also included french toast. It was light, fluffly, and delicious, if a bit too chewy. But honestly, I could barely choke it down. This weekend turned into a glut-fest! My friend left me to my own devices for my remaining two days, and I ate both lunch and dinner at separate Native Foods. Did I mention that I love Native Foods? [Ed. note: I can confirm this.] I didn’t snap any pictures or take notes, as I figured there wasn’t much novelty. But later that day I did take a picture of something that was ONCE IN SPACE! THIS HAS BEEN IN SPACE SEVERAL TIMES. I am a huge science nerd, and seeing the Endeavour was honestly a pretty awe-inspiring experience. I teared up a bit when I first entered the hangar; it’s amazing to think of the incredible ingenuity, courage, and genius of the men and women who built and flew that craft. Space travel is the most astonishing accomplishment in human history, and seeing the massive shuttle in person was a humbling experience. But I couldn’t stay long; I had to get to Loma Linda for a work trip. I cruised west for an hour or so and checked into my hotel in Riverside, California, right down the street from the beautiful and historic Riverside Inn. I’d stopped for some snacks along the way, but I was going to need nourishment for the whole week, so I decided to get a pizza and store it in my hotel fridge, eating a few pieces a night. 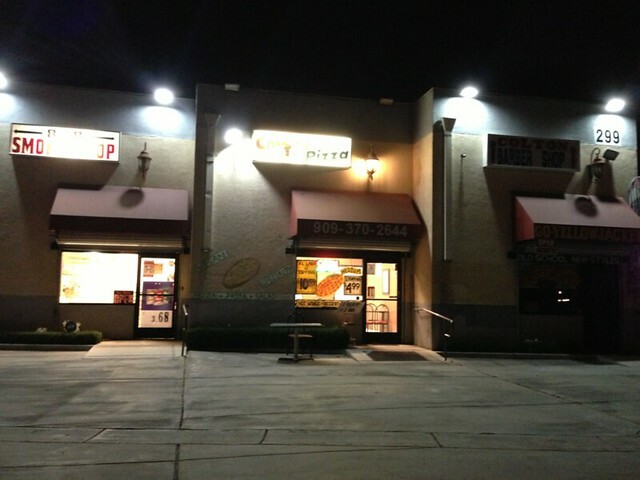 I drove about a half hour to Cheezy Pizza in Colton, a bizarre establishment that was the only vegan offering in the area. Yep, that’s a head shop next door. This place was really weird. First of all, it was in the middle of nowhere; the only other buildings around seemed to be warehouses. Secondly, it offered a strange combination of pizza and Mexican food (I wish I’d grabbed some “vegan-style” empanadas). And thirdly, I swear the pizza had fennel on it. It was otherwise not bad, but pretty standard Daiya pizza. I got half “pepperoni” and half mushrooms, and it did the job. 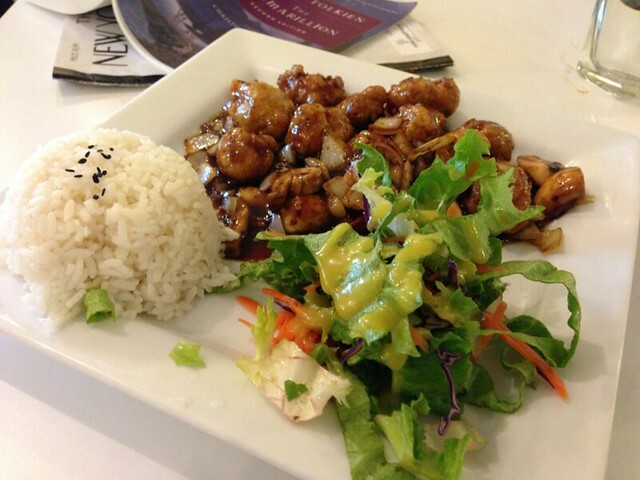 My final vegan stop on the trip was at Loving Hut in Upland, which was about a half hour drive. I’ve never been to a Loving Hut before, and I wasn’t disappointed. There was a muted TV playing the Supreme Master with helpful subtitles that covered nearly the entire screen. I ordered the Spicy General Tso’s and was fairly unimpressed. New Yorker and Tolkien, no biggie. 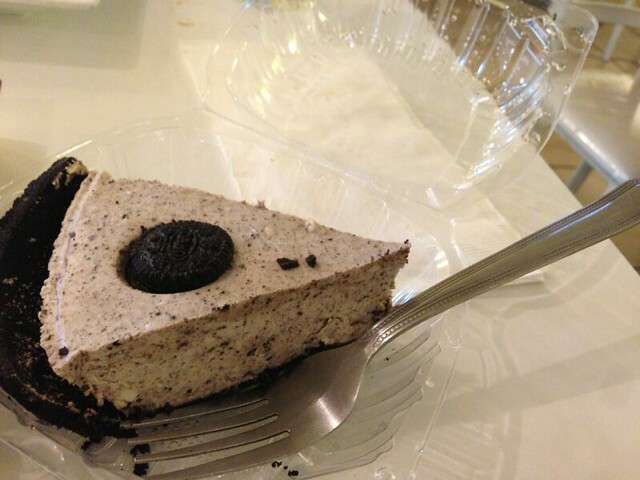 I did very much enjoy my dessert, however: an Oreo cheesecake. I also got to watch a very cute baby across the room. I had a great time in California and I was so glad to be able to sample such diverse vegan offerings. One unexpected benefit of my going vegan has been that I can plan my trips around the places I want to eat, and that strategy worked swimmingly in LA and the Inland Empire. Thanks for reading!